She is just 22 year old, oops! 22 year Young and there are more than 375000 copies of her album Spirit available in the music market. She is none other than Leona Lewis, the sizzle and sensation of Britain. She has broken all past records with her debut album `Spirit'. This album is 4th fastest selling British Album of all the times besides Oasis' Be Here Now, X+Y by Coldplay and Dido's Life For Rent. The young singer has also made the Spice Girls' Greatest Hits as bland as corn flakes. Ganesha finds her birth horoscope pretty interesting so although the time of birth is not available, Ganesha would like to present an astrological study on how and why she made such a big hit with her debut album. Ganesha notes that she is born with exalted and Retrograde Venus. This makes her a very good artist. As she also has retrograde and debilitated Mercury but conjunct with exalted Venus, it creates Neech Bhang Raj Yoga. In the current year, her Solar Return chart is of Libra Ascendant ruled by Venus. It is to be noted that her Venus is exalted and retrograde thus very powerful and it is ruler of the year too, in the Solar Return Chart. In the Solar Return chart, Venus the significator of Arts and signing, aspects the Ascendant, though it is placed in its detrimental sign. 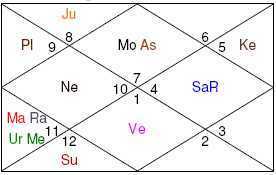 Mars is forming Sextile with Venus and it is conjunct Rahu (North Node) and Uranus. Both, Rahu and Uranus have tendency to give sudden and unexpected results. This conjunction between Mars, Rahu and Uranus is happening in the fifth house of performance for her and no doubt she is a good performer by birth. Muntha (Sensitive point in the Solar Return Chart as per Vedic Astrology System - Tajik Nilkanthi or Tajaka Chart) Lord is Saturn placed in the 10th house or Midheaven, which indicates great success beyond expectations and also indicates promotion, fulfilment of desire and increased social status. This is why Leona Lewis' debut album got such a big hit and could lead her to the ladder of success. Ganesha would like to state that the year is favourable for her till her next birthday. Numerological aspects of her date of birth are also very interesting. Her birth number and life path number is 3, so she is highly influenced by Jupiter, the planet responsible for expansion and quick growth in positive direction. Her personal year number for 2007 is 7 ruled by Negative Moon and Neptune. It is to be noted that Neptune is associated with arts and film lines. Personal Month Number for the Month of November makes the supreme number 9 ruled by Mars the planet of speed and vigour, no wonder her album is fastest selling! 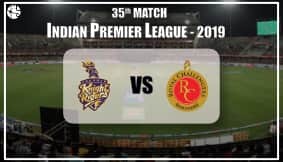 Simply, by using Solar Return and Numerology Ganesha has been able to unerringly hit upon the reasons why her album got such a huge appreciation and made a `Big Hit' in real sense. Next year's Solar Return is much more interesting as she will have Venus in Pisces in 2008's Solar Return chart. Ganesha expects her to make bigger hits during 2008 and 2009 with opportunities to sign more contracts, signing films and so on. Ganesha wishes Leona success and more such hits during the days to come and wishes her Happy Solar Return for the next year too.